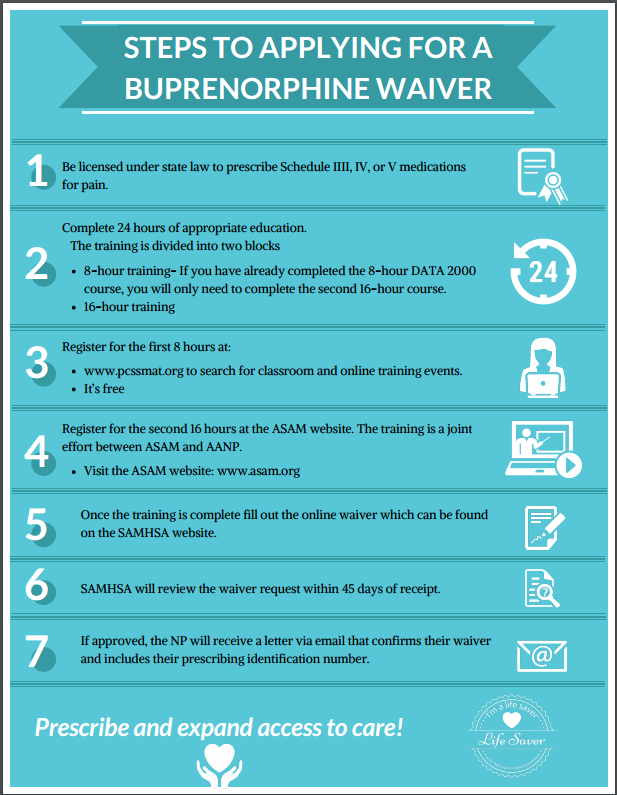 The Comprehensive Addiction and Recovery Act (CARA) of 2016 granted nurse practitioners and physician assistants the authority to prescribe the lifesaving medication Buprenorphine to treat Opioid Use Disorder. 30 million people are without access to Medication Assisted Treatment such Buprenorphine. Rural parts of the country are disproportionately affected by the provider shortage, particularly across the Midwest. Reports show that physicians are shying away from Buprenorphine certification due to low reimbursement rates, strict DEA regulations, and stigma. A 2012 AHRQ report identified that APRNs are mostly likely to practice in large, small and remote rural communities most affected by the shortage of waivered physician. Every day patients are turned away from treatment and face long waits to see a provider risking overdose, exposure to hepatitis or even HIV.